OLYMPIC VALLEY, Calif. – On Monday Dec. 10 Fireside Pizza Company will celebrate 10 years of successful service in Squaw Valley. The popular restaurant will mark the milestone with a day-long celebration including specials, prizes and giveaways, as well as an “alumni reunion party” for past employees. Guests of all ages are invited to enjoy $10 pitchers of beer and $10 large pizzas as well as $1 slices of cheese and pepperoni pizza. The owners and management of Fireside want to take this opportunity to thank their loyal customers for 10 years of patronage and support. Partners Ray Villaman, Ted Kennedy, and Rich Hinkle opened the restaurant’s doors in 2002 and built the restaurant’s reputation not only by serving quality food, but also by giving back to their community. 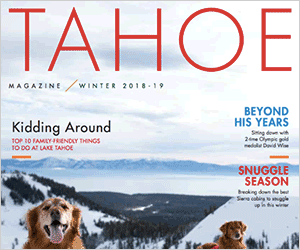 Fireside and its sister restaurants, Rubicon Pizza in the Northstar Village and Base Camp Pizza in the Heavenly Village all share a continued tradition of partnering with worthy nonprofits. During the past 10 years the staff of Fireside Pizza Co. and its sister restaurants have contributed more than $150,000 in food donations and raised more than $22,000 for local nonprofits such as Tahoe Safe Alliance, Adventure Risk Challenge, the Truckee Family Resource Center, High Fives, and SkiDuck. The Fireside family invites the Tahoe community to celebrate 10 years of quality food, friendly service, and community commitment with festivities, food, and fun all day on Monday Dec. 10. Award-winning, locally owned and community-minded, Fireside Pizza is proud to offer signature grown up dishes, think pear and gorgonzola pizza, and many great options for kids as well. This family oriented pizzeria can best be described as California gourmet meets Tahoe. Located in the Village at Squaw Valley, Fireside Pizza is open weekdays 11 a.m.-9 p.m. and weekends, 11 a.m.-10 p.m. For more information check out firesidepizza.com, call 530-584-6150 or “Like” them on Facebook.